In the local landscape of flat-track roller derby, there is no rest for the weary. Mere weeks after notching historical achievements within the global sphere, both the Arch Rival Roller Girls (ARRG) and GateKeepers Roller Derby (GKRD) are primed for their local campaigns that launches with a pair of games this Saturday at Queeny Park’s Midwest Sport Hockey (570 Weidman Rd., Ballwin, MO). First whistle for the double-header blows at 6:30 p.m. This comes off the heels, or more precisely, quads, of each St. Louis-based franchises’ post-season journeys against world-wide competition. 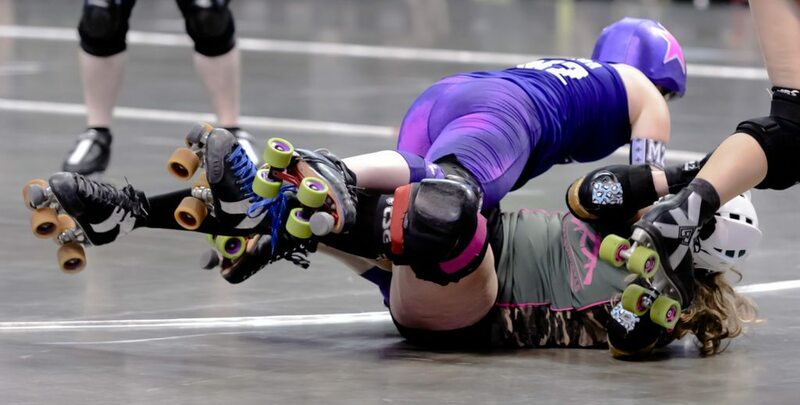 Arch Rival made its inaugural trip to the Women’s Flat Track Derby Association (WFTDA) International Championships two weeks ago while the GateKeepers outright won the Men’s Roller Derby Association (MRDA) trophy in mid-October. This Saturday, the focus shifts back to the competitive home turf, each league’s three-team, six-event regular season and, specifically, the opening-night tussles for early standings’ dominance. 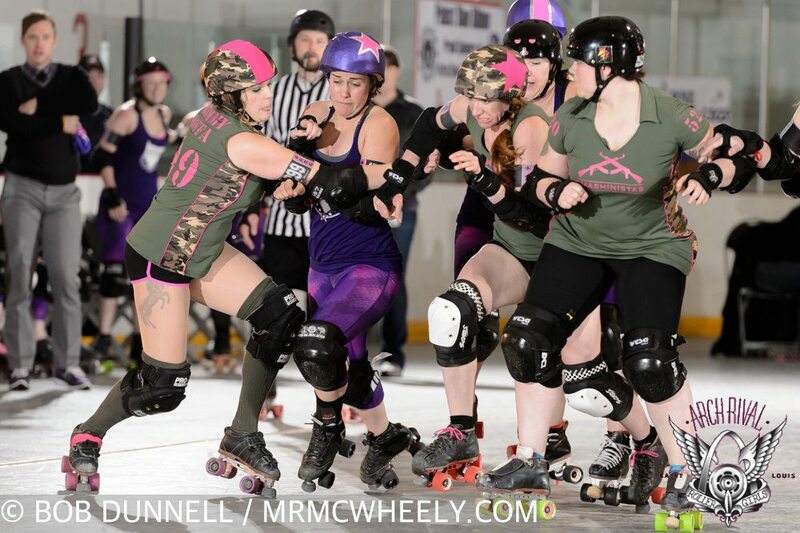 In the women’s match-up, the defending ARRG champion Stunt Devils meets last year’s runner-up, the Smashinistas. 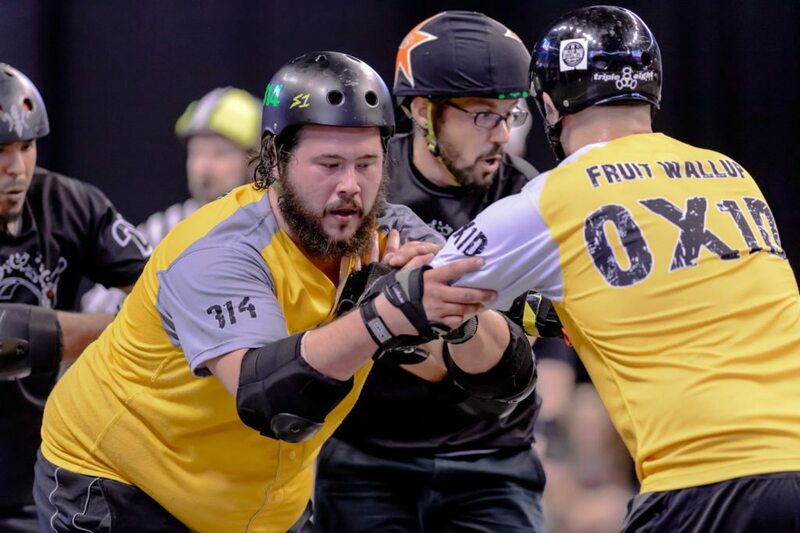 Per custom to any season derby opener, both line-ups feature a mix of seasoned veterans, hard-charging rookies and transfers with years under their helmets. Stunt Devils’ jammer Bricktator returns to the fold as well as blockers Shear-Ra Powers, Aceta Menacin, Ninja Sass ‘Em, Danisaurus Rex, Soundproof, Aggie Wartooth and Cruella Belle-ville while recent draftees Midnight Smack, Momentum Mori and Stormin’ Norma will make their respective flat-track debuts. Also in the line-up are St. Chux Derby Chix transfers Psychokid D Freakout and Peg E. Sass as well as CupQuake, who came to ARRG late last season from Cleveland, Ohio-based Burning River Roller Derby. Meanwhile, the Smashinistas return with comparable talent to counter the defending champs. Veteran jammer EnYa Nightmare is joined by blockers Cloak N’ DragHer, Girl Fawkes, Shimmy Hoffa, Chewblocka, Party RockHer, Hakuna Renata and Rock Slobster. New to the team are rookies Bad Mutha T, Party McFly and KannabisKorpse. Transfers include jammer Flash, formally from the aforementioned St. Chux and Harmony Killerbruise via the Minnesota Rollergirls. Arch Rivals’ three local teams, which also includes the idle M-80s, will compete in a six-event regular season. Each franchise will play each other twice during the cycle and the two squads that sit atop the standings upon completion will compete in a championship contest in April 2016. On the men’s side, not only will Saturday see the start of a new GKRD “Turf Wars” campaign, but it will encompass a total overhaul of the local complexion as prior franchises have been dissolved, resulting in new teams with fresh monikers installed. This weekend’s match-up features the Raiders of Forest Park versus the Central West Friends. Like the women, the three men’s teams, which include the idle Creve Coroners, will tussle during a multi-game regular season in hopes for a trophy bid next April. 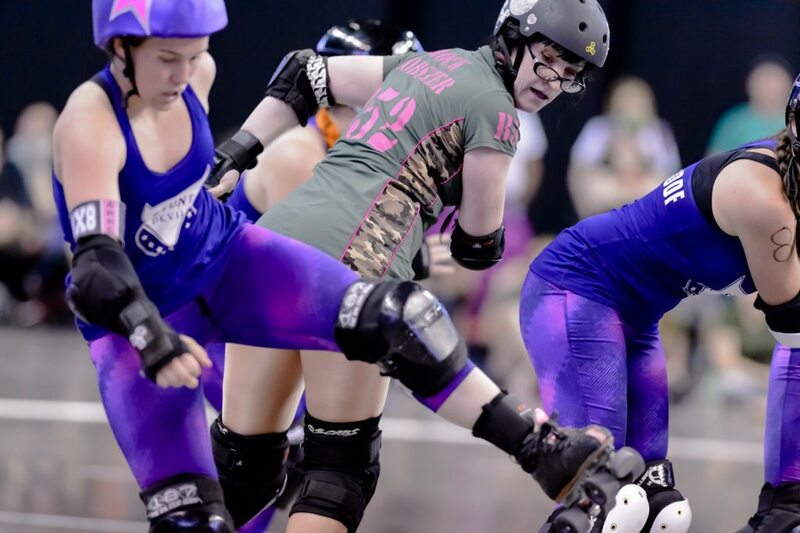 To commemorate the ten-year anniversary of the Arch Rival Roller Girls, a ticket for Saturday’s twin-bill is only $10 while children 10 and under are free. Tickets can be purchased at the door or in advance online by going to THIS LINK. Arch City Sports will be at this weekend’s action and will have a full recap of both games on Sunday.